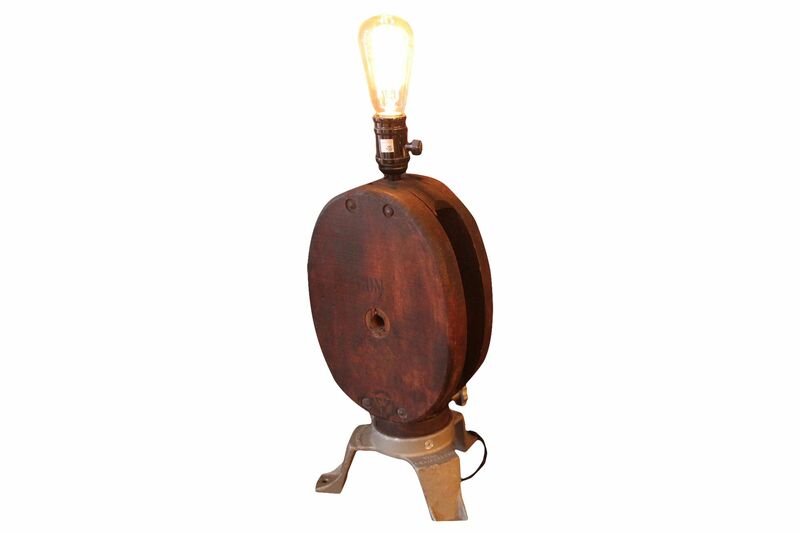 Reclaimed vintage pulley with a vintage tripod base. Great for a desk or end table. Like what you see but want something a bit different? Let us know. We can design your own perfect one-of-a-kind with you.